According to Mark Zandi, chief economist for Moody’s Analytics, prospects are good for the U.S. economy in 2018. Economic expansion celebrated its eighth year in November, making it the third longest in American history. Zandi expects this expansion could become the longest in history, possibly surpassing the tech-driven boom of the 1990s, which lasted 10 years. 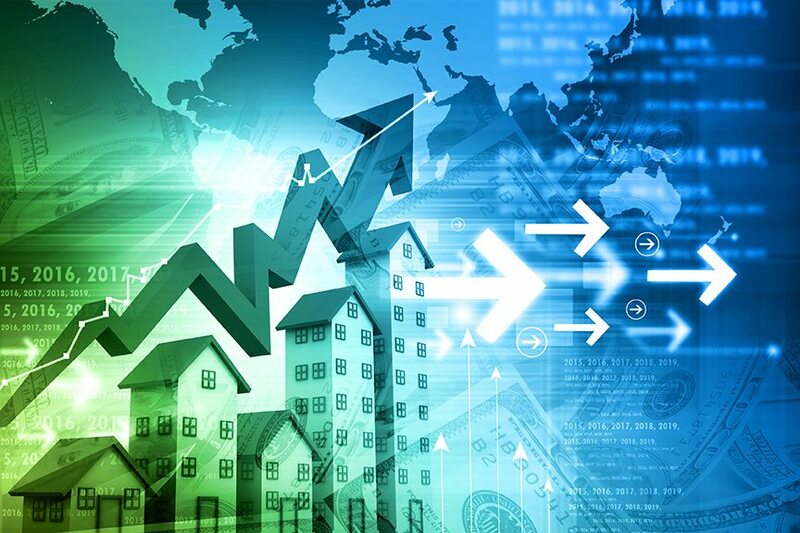 Economists from many facets of the industry, including Metrostudy, the NAHB, and the National Association of Realtors (NAR), all project positive economic growth in 2018, with one caveat. This also includes an increase in new home sales in Fort Worth, TX. The significant wild card for the economic outlook in the next two to three years surrounds the fiscal policy decisions of the Trump administration, including the tax bill, which was expected to be signed into law at the end of December. The legislation could reduce ownership benefits, which would lead to fewer sales, lower prices, and dropping home values. However, despite the uncertainty from the nation’s capital, most indicators point to a good year for U.S. builders. Despite labor concerns, 2018 start projections from multiple economists are still in a healthy range. The NAHB forecasts a 7.9% increase in single-family starts during 2018, and projects that single-family starts will reach 996,000 in 2019, representing 74% of their “normal” baseline (1,343,000 starts), calculated and justified by population growth and the need to replace older homes. 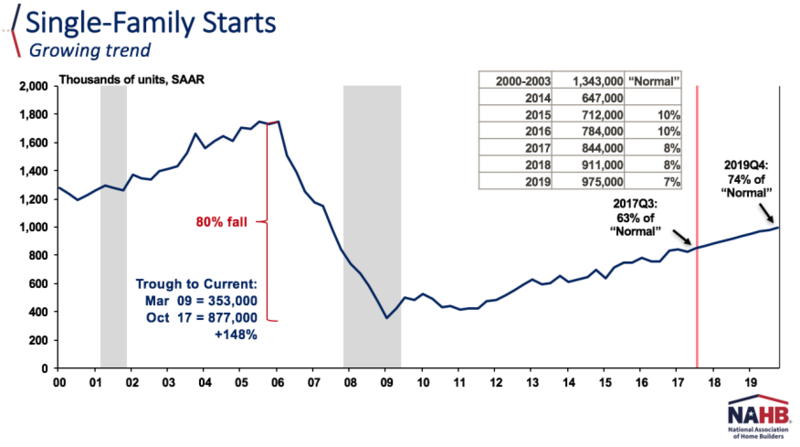 Moody’s forecasts that starts will reach 1.8 million next year, which would be a 6.4% increase from its 2017 projection, and NAR predicts a 7% increase. Mark Boud, senior vice president and chief economist of Metrostudy, expects new-home construction starts to make continued gains over the next three years, peaking at approximately 1.5 million housing starts in 2020. Boud projects that permits, housing supply, and housing demand will peak in 2020 as well, however, demand is expected to continue to outpace supply until 2023, even after demand has reached its peak. The rate of job creation in 2018 isn’t expected to match that of 2017, but that’s a result of the U.S. economy reaching full employment. There are a record number of open job positions currently—over 6 million—which is positive given that it’s harder to fill open jobs when the workforce is nearly full. The bad news for builders in this case, however, is that a large share of those open positions are in the construction industry, and labor shortages will continue to be an impediment for housing in 2018. Job growth is about double the pace of labor growth, and the odds are good that unemployment may fall below 4% by November 2018 for the first time since the late 1990s. Due to inventory constraints in many markets, rising prices were a challenge for prospective buyers of new and existing homes throughout 2017, and the latest S&P CoreLogic Case-Shiller U.S. National Home Price Index reported home price gains at an annual rate of 5.9%. Price growth is expected to ease slightly in 2018, but will continue to be an issue for buyers in lower price brackets, as supply of new and existing entry-level homes remains low. The NAR expects inventory will increase in 2018, and that home prices will appreciate at a markedly slower rate of 3.2%—but that applies only to higher priced homes. First-time buyers will still largely be left out of the equation, as the NAR doesn’t anticipate inventory of homes suited for first-time buyers to open up significantly until 2019. While inflationary pressures and the Fed’s decision to reduce its balance sheet will result in higher interest rates this year—NAHB projects the interest rate for 30-year fixed rate mortgages will reach around 5% by the end of 2018—demand should remain healthy. Danielle Hale, managing director of housing research at NAR, posits that new and existing home demand during 2017—despite significant price growth—wasn’t impacted due to low mortgage rates. Hale contends that alongside easing price appreciation, higher mortgage rates should not make affordability a major challenge, as long as rates—and wage growth—rise gradually over time. The shortage of affordable single-family homes, new and existing, was a fixture of 2017. Household formation has returned to levels roughly in line with historical averages, but many potential buyers still can’t enter the market due to sky-high prices, and construction starts (especially for single-family homes) have been insufficient to quell demand. NAHB chief economist Robert Dietz notes that the primary constraint for buyers (especially younger buyers) is qualifying for a mortgage and accumulating the money for a down payment. Need for single-family housing inventory that millennials can afford is becoming more immediate, as the largest portion of that generation will turn 30 in 2020. According to Dietz, residential construction in 2018 will face three supply-side bottlenecks: labor, land, and lending. Labor continues to be the biggest issue because not only is the construction workforce smaller than it was prior to the recession, but there are also more open, unfilled jobs as a total share of that workforce. Additionally, overall worker productivity for the entire economy has increased 30% since 1993, in contrast to worker productivity in the construction sector, which rose roughly 3% during the same period. The average construction worker is 41 years old, and as those workers decide to leave labor-intensive positions, the industry will be faced with a major generational challenge to attract younger workers. “We sacrificed location and walkability, but we love that we are getting to know all our neighbors and have space for our animals,” she says. Millennials, in particular, are often motivated by their dogs when house hunting, according to a recent survey of that generation of home buyers conducted by the Harris Poll on behalf SunTrust Mortgage. The survey found that the desire for a better space or a yard for a dog influenced their decision to buy their first home. Dogs were among the top three motivators — cited by 33 percent of buyers, compared with 25 percent who mentioned marriage and 19 percent who mentioned the birth of a child. range says dog-friendly condos are a good idea, too — your neighbors are likely to be more forgiving of an occasional incident of barking. Dallas-area home price gains held steady in September, rising 7.1 percent from a year ago. 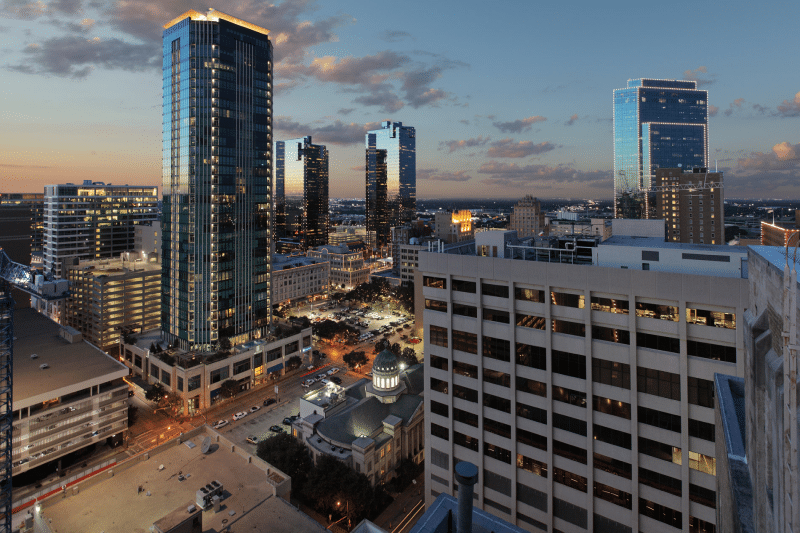 The Dallas price increase was higher than the nationwide 6.2 percent year-over-year home price rise in the closely-watched Standard & Poor’s/Case-Shiller Home Price index. While still strong, Dallas’ percentage home price gains are smaller than earlier this year and in 2016. U.S. home prices rose at the fastest rate since 2014, according to Case-Shiller. The largest price increases were in Seattle (12.9 percent), Las Vegas (9 percent) and San Diego (8.2 percent). Dallas-area home prices are at record levels. Home prices in North Texas are now more than 40 percent higher than they were a decade ago before the recession. Tight home supplies are driving prices higher in many markets. Featuring 2 acre homesites with home prices starting from the low $400’s, Las Brisas in Decatur is sure to be a popular choice for the buyer who wants a true custom home on a large lot in a quiet location away from the hustle and bustle of the crowed suburbs. Legacy Classic Homes will be just one of three approved builders in this new community and our first homes will be starting in January 2018. Ready to move in homes will be available by early the summer and we will have several premium lots available for those who want to build their dream custom home. Las Brisas features gorgeous 2 acre lots with large oak trees in a quiet location just a couple miles west of downtown Decatur. The property is deed restricted to allow for the highest home values possible, while offering homeowners the advantages of no water bills and no city property taxes. The lack of a water bill and city property tax bill amounts to several thousand dollars a year in savings for the average homeowner. Nestled in a quiet part of the Wise county, Las Brisas is just minutes from highway 380 and 287 with quick access to Fort Worth and DFW Airport. A perfect location for those who want a custom home with land but still have to commute to work. Las Brisas promises to provide country living at its finest. Contact us today for more info on this upcoming community. Like many people, I enjoy browsing the web looking at pictures and walking other builder’s model homes to see what the latest trends in floor plan design, amenities and decorating are. While manufacturers of products and interior decorators often help push the changes in trends, as the owner of a home building company I am always interested in the trends from my own clients. I have listed the top five trends I see in our custom home builds. Maybe it will give you some ideas for your next new home build, remodel or decorating project! Indoor / Outdoor living – It is fair to say that large outdoor living spaces have been growing in popularity for a few years, but a fairly new trend I’ve seen recently is the option to combine both the indoor and outdoor living areas into one seamless space. This is accomplished by using large sliding or folding doors on the common wall between the interior living room and the back patio. I think this design really add a new dimension to the outdoor living concept. Having large windows to gaze out onto the back patio was always nice, and you still get that with the doors closed, but now homeowners can take things to the next level and literally remove the wall that used to stand between the interior living room by just opening the doors. There are even doors that will disappear into the wall or work on ninety degree corners! Combined with an open concept kitchen/great room, this setup creates the ultimate fusion of an indoor/outdoor space for those who like to entertain. Another up and coming trend to outdoor living is motorized shades for the patio. This feature is a hidden from view, but with the push of a button shade screens can be lowered to keep the critters out and fun in. Best of all, they can be retro-fitted to almost any patio at a later time. Freestanding tubs – I built homes for years without having a client ask for a freestanding tub, now I am asked about doing a claw foot or freestanding tub on every other project. While some clients seem to like the nostalgic look of a classic claw foot tub, many just like the freestanding look in a more transitional style. Whatever your taste, there is a style of freestanding tub and hardware that is sure to appeal to anyone building a new home. And while these tubs do end up costing a bit more than a drop in tub by the time the plumbing hardware is factored in, there are definitely tubs in this category that fall into reasonably affordable price points. Encapsulated Spray Foam House Insulation – Spray foam insulation has been around for years, but it used to be an upgrade usually reserved for very expensive homes. While spray foam insulation does still add additional cost to a project, the use of spray foam to encapsulate the entire envelope of a house including the attic has made this a popular upgrade that more clients are willing to pay for on lower priced custom homes. Even with some added up front cost, spray foam has a very good return on investment given our ever increases cost per kilowatt of electricity, and comes with the added benefit of a totally clean attic that is always at a comfortable temperature. No more pulling down the attic stairs and having loose insulation falling into your face or sticking to your shoes. Fully encapsulated foam houses will transform not only your energy bills, but also your perception of what an attic can look like. 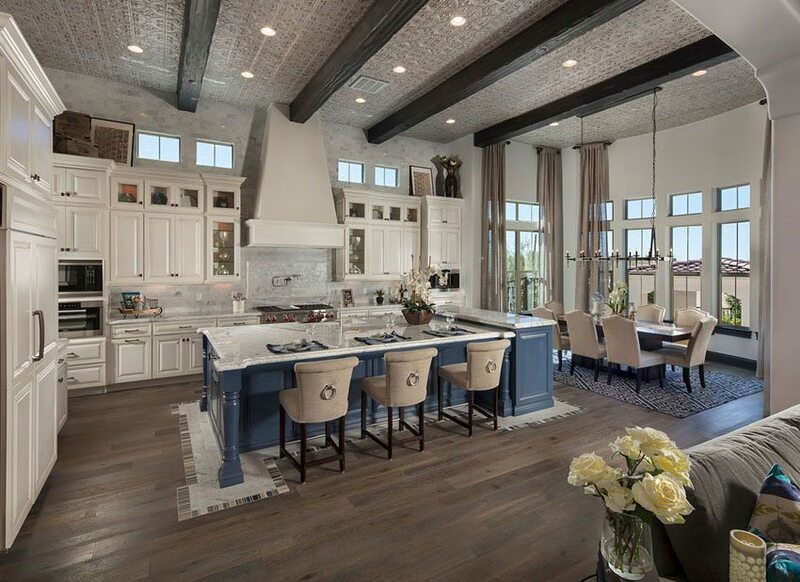 No More Formal Dining Rooms – Yes, open concept kitchens have certainly become popular over the last few years, but another plan design trend I see more and more in my client’s custom floor plans is the lack of a formal dining room. Many of my clients have owned several homes prior to building with Legacy Classic Homes, and they comment about how they rarely used their formal dining rooms in their old houses so they do not want one in their new home. These clients have chosen to design a much larger breakfast nook area that can accommodate a large dining table and to use this space as their only dining area. This allows them to take the couple hundred square feet of living space that would be used for the formal dining room and use it in other sections of the home. Interior Design isn’t a One Size Fits All Trend – If you walk most builder’s model homes located in urban or suburban areas of Dallas/Fort Worth, you will see that decorating trends have turned away from darker stain finishes and hardware, to light colors and somewhat contemporary looks often called “transitional”. This includes light colored painted cabinets and stainless door, cabinet and plumbing hardware. Also gone are the more ornate raised panel cabinet doors and trim and in their place are shaker and slab style cabinet doors and flat trim. On the flip side, many of my clients building in the communities farther out from the suburbs lots still prefer the more traditional look of darker stain cabinets, raised panel doors, bronze hardware and profile trim. My takeaway that much like fashion trends in clothing, decorating trends in housing will not be embraced by everyone. I try to remember that when determining what type of decorating our inventory homes will have in the different communities Legacy Classic Homes builds in. Weighing both the pros and cons of insulation – whether it is fiberglass, cellulose or spray foam insulation – can be a great way to decide which the best choice for your home is. As with anything, if the positives outweigh the negatives, it is a good decision that pays dividends. The advantages of spray foam insulation are a list of strong attributes that can help make your choice a simple and easy one. Although spray foam insulation does have an initial higher investment, the advantages that spray foam offers far outweigh the upfront cost. When you factor in the performance advantage of spray foam insulation that allows you to save on monthly heating and cooling bills every month, the return on investment makes up for the initial upfront investment. This is because spray foam fills all cracks and crevices where it is applied to limit air leakage which drives your heating and cooling equipment to work overtime to compensate for all that lost air. Also consider that spray foam insulation is not a do-it-yourself project. However, the advantage of a spray foam insulation installation is that you can ensure professional work done by an experienced and licensed contractor. Lastly, one of the biggest advantages of spray foam insulation is that it helps keep your house at constant temperatures creating a luxurious and comfortable climate within your home all year round. When you are thinking of insulation and start to think of the advantages of spray foam insulation, think no further than the attributes above and the long-term value Icynene spray foam has to offer. Contact Us today to discuss the advantages of using spray foam insulation in your new custom home from Legacy Classic Homes. If you’re in the market for a new home, you should shop for your builder as carefully as you shop for your home. Whether you are buying a condo, a townhouse, a house in a subdivision or a custom-built house, you want to know that you are buying a good quality home from a reputable builder. 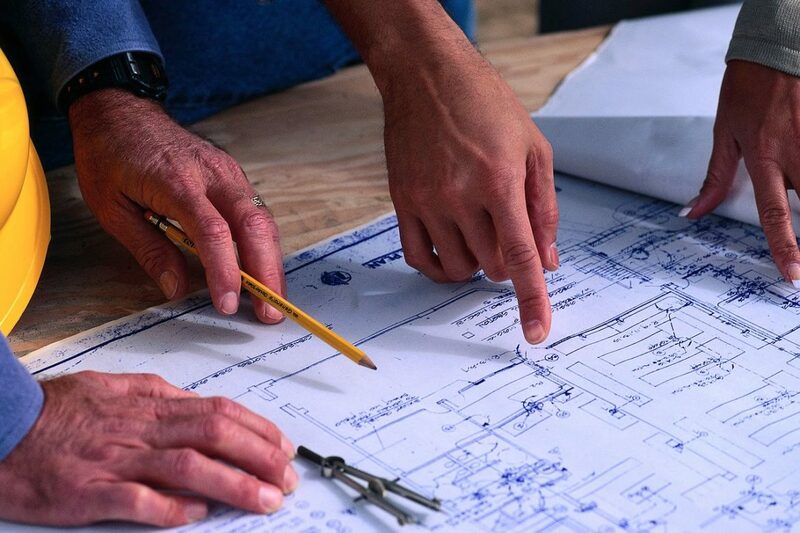 Here are some tips to help you choose a builder. Then, visit a builder’s recently built homes and subdivisions. Drive by on a Saturday morning when home owners may be outside doing chores or errands. Introduce yourself and say you are considering buying a home from the builder who built their home. Talk to several owners, and try to get a random sample of opinions. The more people you talk with, the more accurate an impression of a builder you are likely to get. When examining a home, look at the quality of the construction features. Inspect the quality of the cabinetry, carpeting, trimwork and paint. Ask the builder or the builder’s representative a lot of questions. Get as many specifics as possible. If you receive the answers verbally rather than in writing, take notes. Never hesitate to ask a question. What seems like an insignificant question might yield an important answer. Some home building goofs, like spilled paint or a hole in the drywall are easy to fix as things move along. But you’ve got to be careful to avoid major, costly errors when building your first home. No one wants to spend their hard-earned cash, time and energy building a home only to later discover that there’s been a major oversight which needs correcting. Here are a few things to think about to help you avoid builder’s remorse. A house is an investment that is meant to last, theoretically forever. So it’s wise to plan well into the future when you build your first home. Is your family growing? Do you want a place to entertain? Is it in a location where you’d consider spending the rest of your life? Your answers to these questions will determine what kind of home you are looking for. These days, owners of smaller homes are dedicating less time and resources to initially developing and maintaining their landscapes. But a house that simply sits between block walls or fences obviously isn’t going to be very appealing in the long term. So when you’re planning your build, leave ample space around the house for future gardens or outdoor living spaces. It’s extremely important to feel safe and secure in your home. Planning for things like fire exits, exterior lighting and a security system go a long way in improving the safety of your new home. 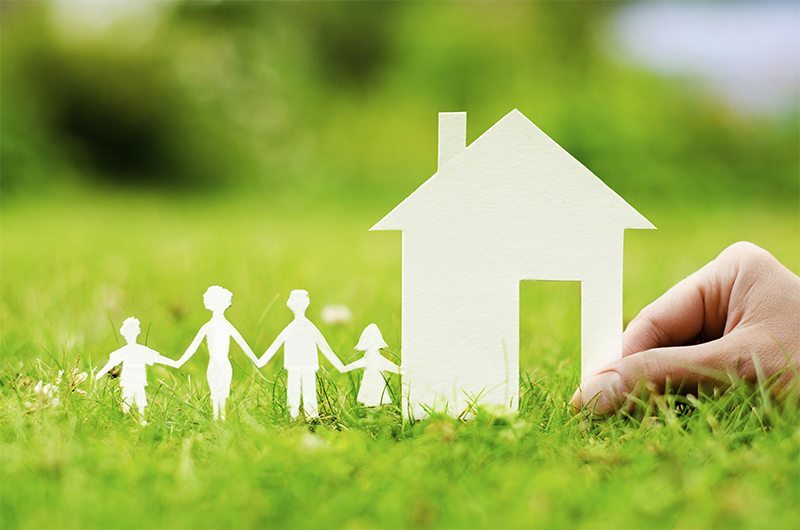 A big trend in today’s market is the green home. There are a lot of green, water-saving technologies in a range of prices. Take a look at the ENERGY STAR® website to see a wide variety of energy-saving building products and appliances that you can use in your home. Size is an important consideration when building your first home. If you are building a larger home you can obviously expect to pay more in mortgage payments, property taxes, maintenance and utilities but you wouldn’t want to build so small that it leaves you without options for redesign or expansion later. Really think about the spaces you’ll need and what you can afford when planning your house and you won’t have regrets later on. When you are planning to build your first home, you should really plan to allocate half to two-thirds of what you can actually afford towards building it. No house comes in at or under budget, and sometimes quite a bit over. This results from a variety of factors, some of which may be due to your upgrading specifications, fixtures or materials as you go along. Sometimes it’s an oversight, or increase in building materials costs, or even weather delays. You can reduce overages with diligence and planning but some will always sneak by. It’s easy to think about how many bedrooms you need or what you want in your kitchen but don’t forget other details too. For instance, there should be a bathroom on each floor if you are building a multi-story home. You’ll also want to consider amenities like extra closet space for any guests you might periodically have staying with you. The best advice anyone can give you when building your home is to make as many preparations in advance as possible and let the professionals execute your dream. You should visit the site often to observe what your contractor and subcontractors are up to but making lots of changes during construction will hinder the timeline and ultimately cost you more money. So don’t be afraid to hold off on breaking ground until you are really happy with your design on paper. Building your first home is a rewarding experience but while you are planning take some time to consider these points and make your home something that will stand the test of time. Remember, your home is likely to be the biggest investment you’ll ever make, so planning and doing it right the first time is the way to assured satisfaction in the final result. The whole point of building a custom home or doing a major renovation is to create a space that is wholly personal, which means you shouldn’t be beholden to trends. But in the interest of education, let’s talk about some things that are happening now. Step away from the super-dark, hand-scraped floors for a second. Consider engineered woods with a lighter, more natural finish. Our experts say that white, gray, and washed-wood finishes are making a comeback. Think about bleached, limed, or fumed woods with matte finishes or sealed-only floors. Don’t count out engineered products. They aren’t necessarily cheaper, but you can achieve a more exotic look. You might also consider porcelain tiles. Porcelanosa’s Parker line boasts a “wood” look. Stone floors are also showing up in unexpected places, like master bedrooms. Fun Fact: To get the look of steel windows, your contractor can match wood on the inside of the window to the color of the outside of the window. Steel versus wood could be a $50,000 difference in price! Our experts say that, on the whole, new construction is going more contemporary. This doesn’t mean that everyone is moving into glorious, Rachofsky-like glass houses. But on the whole, houses have cleaner lines with less focus on turrets and more use of Austin stone and standing-seam roofs. Europhiles, relax. The Mediterranean isn’t going anywhere—this is Italy Dallas, after all. Even those who choose to stay with more traditional exteriors are going with modern, open concepts on the inside. That means fewer hallways and tiny, wasted rooms. Open floor plans afford more useable space — the kitchen that opens to the den and possibly dining areas. An abundance of glass and lift-and-slide doors, designed to open and disappear, bring the outdoors in. Again, efficiency is key. Homeowners are better understanding that 100 percent of their spaces should be completely usable. The powder bath is also a great place to try a bold wallpaper, daring paint color, or outrageous tile and hardware. There’s nothing better than stepping into an unexpected and divine powder bath. But what if you hate it? That’s a drag, but it’s not the end of the world. “It’s such a small space, so it’s not significant to change it. That’s why it’s a good place to take chances,” Michael Munir says. There has been a lot of talk about how the formal living and dining rooms have been eradicated from new homes, but that’s simply not true. The rooms still exist; they function differently. The formal living room is now more of a “parlor” or an “away room,” as in, “I have to get away from the televisions that seem to have shown up in every flipping room, including outdoor spaces, in this house.” Many people choose to make it multi-functional — it could be a library and a bar area. It could open to the patio and be more of a party room. The point is, it doesn’t disappear from the floor plan. It just becomes something that you’ll actually use for more than fancy-but-uncomfortable furniture storage. Likewise, the designated dining room still exists, but it’s more open and casual. It could be the serving space for even more casual parties. Add bookcases, and, it, too could become a library. We’ve all heard it: Kitchens (and baths) sell homes. Kitchens are the heart of the home. Grandma’s kitchen: Tasters welcome. We get it! Kitchens are important. But they’re also expensive. Jennifer Fordham of Poggenpohl Dallas says she tries to educate her clients from the beginning about what things cost and parse their needs. “I have to tell them that they don’t need drawers in every single inch of the kitchen,” she says. “You have to think about the odd-shaped things that won’t fit in a drawer.” She also says ventilation is key—folks come in the showroom and ask if there’s any way around having it at all. “They think it’s ugly, but you need it, if only to pass code,” she says with a laugh. We’ve come to expect stainless steel and granite in high-end kitchens, but maybe it’s time to expand your horizons. “Granite used to be a premium, but now it’s everywhere,” Michael Munir says. “Most apartments have granite now.” Consider engineered stone and other countertop options. As for stainless steel, it’s still a thing. But like granite, it’s pretty standard stuff. You might want to take a chance on some of the new designs that Miele is producing — basically glassed appliances in all black, white, or chocolate. Think how fantastic they’ll look with the tasteful Ann Sacks tile and Waterworks plumbing fixtures you’ve so carefully chosen. For cabinets, think about some of the lighter woods or more natural-colored walnuts, or go bold with some matte lacquers. Fordham says white kitchens are coming back, too. No matter your tastes, we can all agree that the two most important items in your kitchen will be a Hoshizaki ice maker and the Miele Whole Bean/Ground Coffee System. Sonic ice and caffeine always make everything better.